Sunday the 18th of September is the 7 month mark since the Sunshine Jones Live Ground Tour 2016 began. And this marks the final date of the tour. My last live set in a series of amazing and spectacular 100% live performances. I’m so grateful, and so excited for the finale. 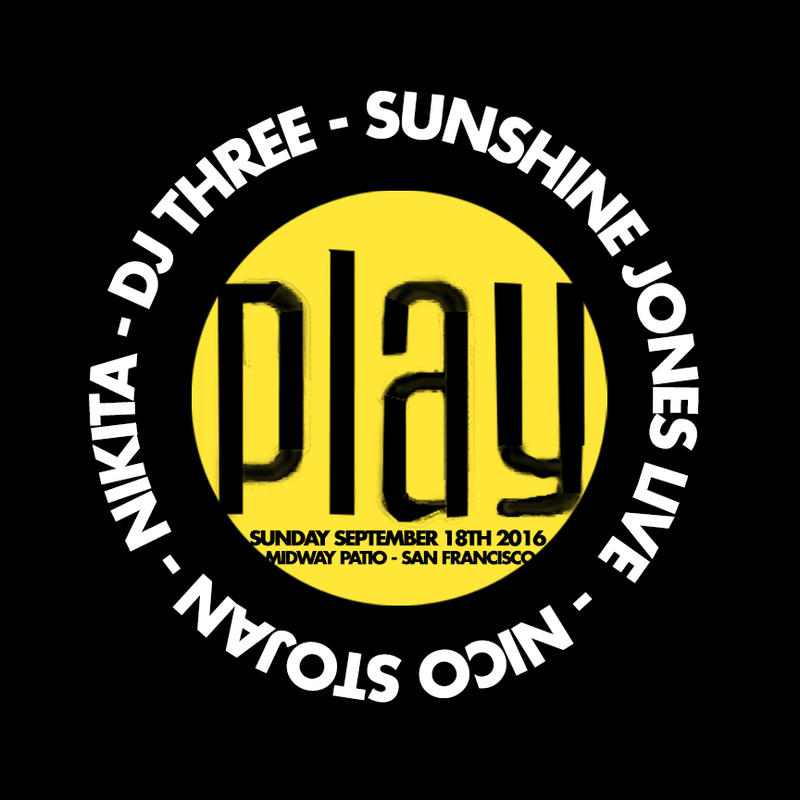 DJ Three, Nikita, and Nico Stojan join the lineup at SF’s Midway patio venue. It’s going to be wonderful, and a beautiful sunday indoor/outdoor situation. If you’re anywhere near San Francisco, I am really looking forward to seeing you.